This mod allows you to create paint brushes, which can be used to paint Vanilla Minecraft Blocks their respective color. Do not that you can only paint vanilla blocks. As of 1.1.3, you now need to install CTD Core! DO YOU SUPPORT MOD X? To paint... you need a paint brush. To make a painted brush, combine the empty paint brush with your dye of choice,and a water bucket in a shapeless crafting recipe. Can we color liquids ? I've downloaded the 1.11 version and it's not letting me paint blocks. I tried left clicking, right clicking, and sneak + right click. You trying to paint wool/clay/concrete/carpet/glass? That's all this mod does. Could you make it so you can only paint one SIDE of a block? that would be revolutionary! When you do what? Last I knew, Minecraft just empties the bucket when you use it to craft other things. So, it should? 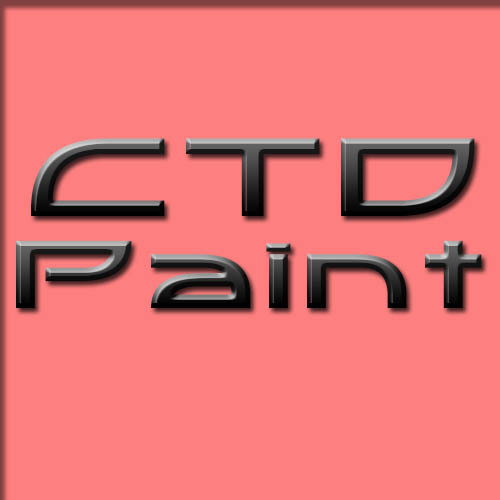 Why does CTD PAINT 1.1.5-1.11.2 keeping saying when I log on to my server or ssp that it is out of date when it is not. That's a very good question. Let me check! Hi, I think I might be retarded or something but I don't understand how to use the paint brush... I've created a paint bucket and an empty brush and then combined the two so I get a colored brush. But what then? I've tried right-clicking blocks but nothing happens!!! Could you make this compatible with Quark's dyeable blocks? is wood going to be paint-able in the future? This mod costum? I means i can paint a blocks be another mods? No, this will only paint vanilla blocks for now.